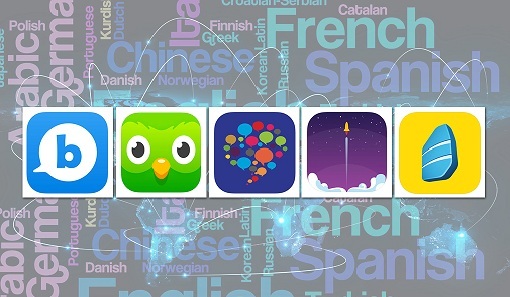 When you go to your respective app store, you will be amazed to see the number of language learning apps. If you want to learn a new language, or brush up on the one you know already, then language learning apps are convenient as you can use them on the go. But you might find yourself drowning in the sea of language learning apps. How do you decide which one to download? Well, do not worry. After some extensive research, we have generated a list of best language learning app s for iOS. Memrise is a hip app which makes learning fun. There are several courses available on a variety of different languages. With courses in more than a hundred languages, there is no shortage of material here. The focus of Memrise lies in vocabulary building. In the beginning, the lessons are regarding words and phrases. What makes it fun is that there is no shortage of memes and gamification. Users can create their own memes as well. In regards to social networking, users can follow each other and compete for points. Duolingo is perhaps the most popular language learning application across the globe. It's easy to navigate UI and quality of content makes it a hit amongst users. The lessons are short, crisp, and meaningful. While some questions need to be answered in multiple choice answers format, some need to be typed out as well. There are several levels and topics. Users can learn more than one language at the same time. From vocabulary to pronunciation, you can learn it all on Duolingo. Babbel is yet another application which comes with lessons. The lessons are longer and last for 10-15 minutes. The free version consists of some forty odd lessons. At first, words are taught with the help of pictures. After that, these words are added in related phrases and small sentences which are tweaked to the level the user is at, to help in building conversational skills. Small prompts in the application tell the users about the essential grammar rules associated with the lesson. If you are not a novice, and just want to brush up your language skills in certain areas, then you can choose a package according to your need. Well, people say that in order to master a new language, one needs to speak it. Fortunately, Tandem leans toward conversations with language experts. The concept behind Tandem is that people can assist each in learning different languages. This can be done over messages, audio call and video conferencing. After screening the user, the app helps them locate another user with similar interests. After that, the teaching and learning begin. Bussu is a great language learning application which contains complete courses in twelve different languages. Starting from individual words, the lessons will story get more elaborate and complex. There are several levels, and the classes are packed with a small travel course. So if you are going to France this fall, you can quickly learn some basic French. KarenMinton is a creative person who has been writing blogs and articles about cyber security. She writes about the latest updates regarding mcafee.com/activate and how it can improve the work experience of users. Her articles have been published in many popular e-magazines, blogs and websites.